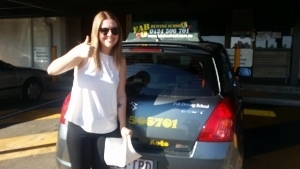 “ Learning with Fab Driving School was a thoroughly enjoyable experience. Willie is a brilliant instructor, he was always patient encouraging and pushed me to my maximum potential, whilst being easy to talk to, resulting in me passing my test with 1 minor, I would highly recommend Pass to anyone. Thank you Willie for all the support throughout the process.